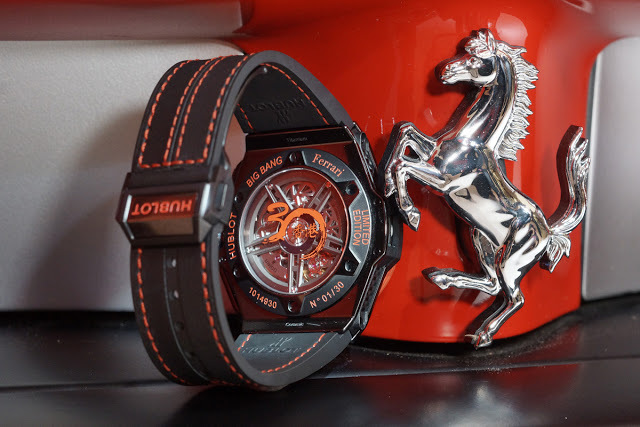 To mark the 30th anniversaries of the Hong Kong offices of both Ferrari and Hublot, the watchmaker has created a limited edition Hublot Big Bang Ferrari Hong Kong with a distinctive red ceramic bezel. 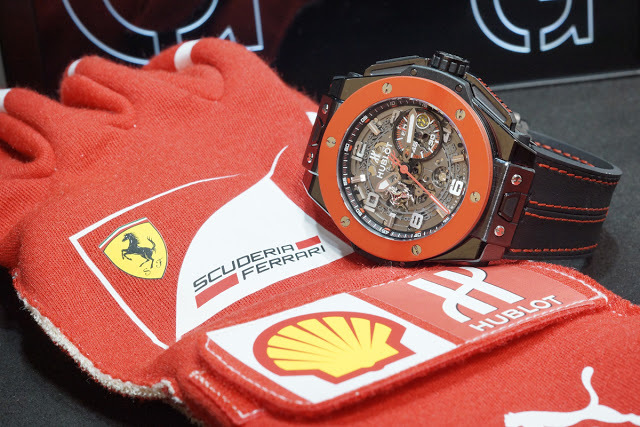 Since its inauguration last year, Hublot’s partnership with Ferrari has produced a slew of limited edition timepieces, the latest of which is the Hublot Big Bang Ferrari Hong Kong. 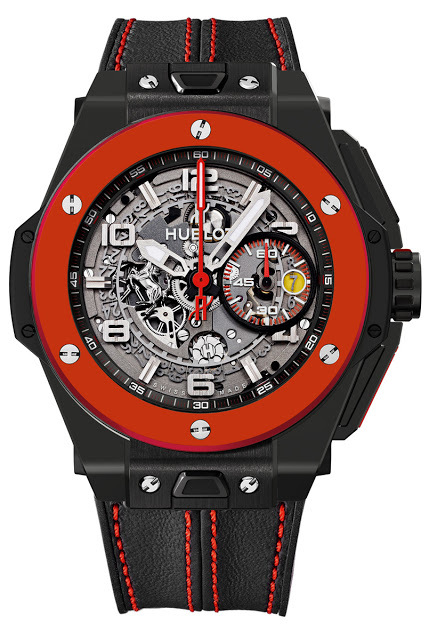 It is fitted with a bright red ceramic bezel, which Hublot says is the first time a brightly coloured ceramic has been used in a timepiece. 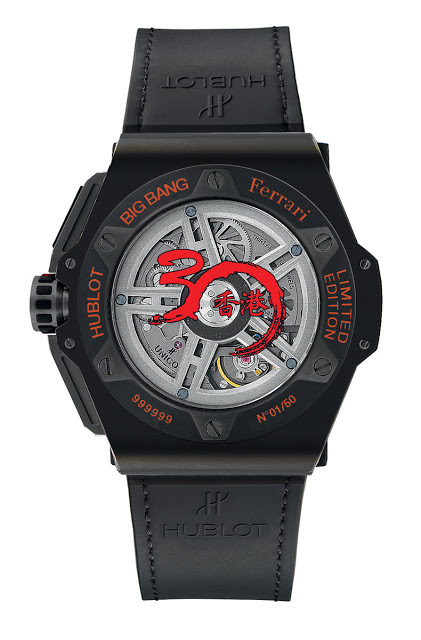 The sapphire case back features the Hong Kong 30th anniversary logo, referring to both Hublot and Ferrari, which simultaneously mark 30 years in Hong Kong this year. The rest of the watch is standard Big Bang – a 45.5 mm black ceramic case with resin and carbon bits and bobs. The movement is the modular and in-house UNICO flyback calibre. 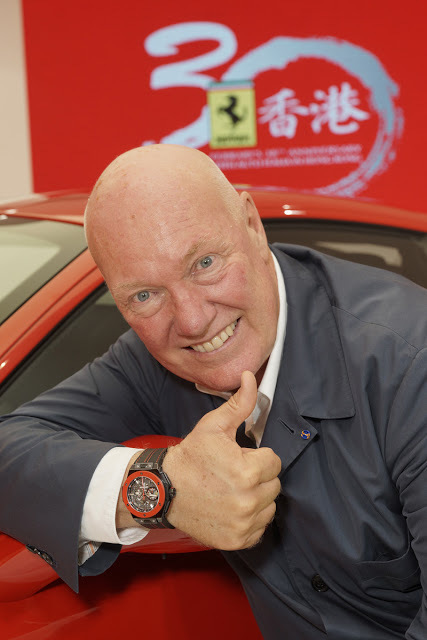 And the watch is delivered with rubber two straps covered in Schedoni leather (the supplier of Ferrari leather goods), easily interchangeable via the seat-belt buckle inspired buttons on the lugs.